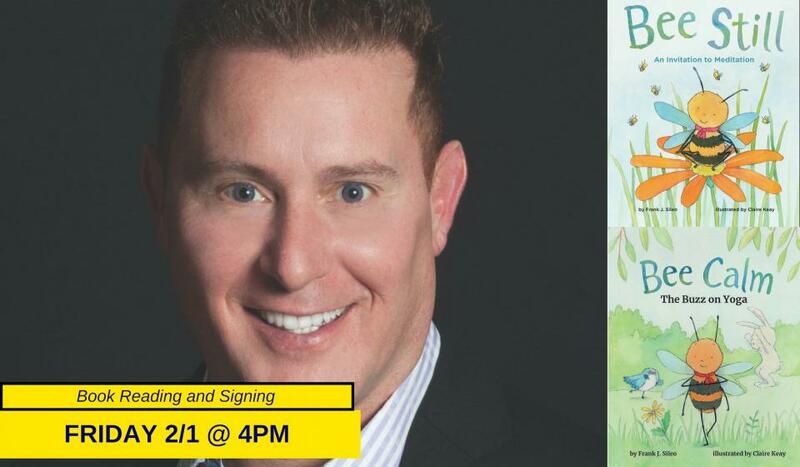 Join Frank Sileo as he reads his award winning children's books on meditation! Bentley is a lovable, calm honeybee. He lives in a hive in a tall oak tree. One day, the queen told the bees to get busy. This sent them scrambling into a tizzy. But not Bentley. He chose to be patient and wait. He decided to look for a place to meditate. Bentley the bee lives in a busy, bustling hive. One day, when the other bees rush out to make honey, Bentley decides to meditate first. The other animals are curious about what Bentley is doing--so he teaches them how he uses meditation to focus, feel calm, and soothe difficult feelings. Bentley’s friends teach him several beginning yoga poses including Mountain, Chair, Airplane, Cobra, and more. Readers will love to follow Bentley and try the poses themselves as he gets buzzing all about yoga in this kid-friendly introduction. Includes a Note to Parents and Caregivers with suggestions for introducing children to yoga, and instructions for the poses in the story. Research has indicated that meditation can assist with improving concentration and focus, calming anxiety, and reducing impulsivity. Just like adults, children can benefit from turning off electronic devices and being present to what is happening to them in the moment. Bee Still is a child-friendly introduction to meditation.